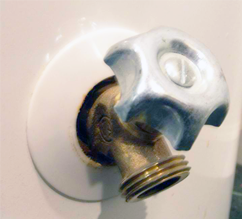 Turn Off A Leaking Water Heater - Water Heaters Only Inc. If you have a leaking water heater, follow the instructions below or watch our video below on “How to Turn Off a Leaking Water Heater”. 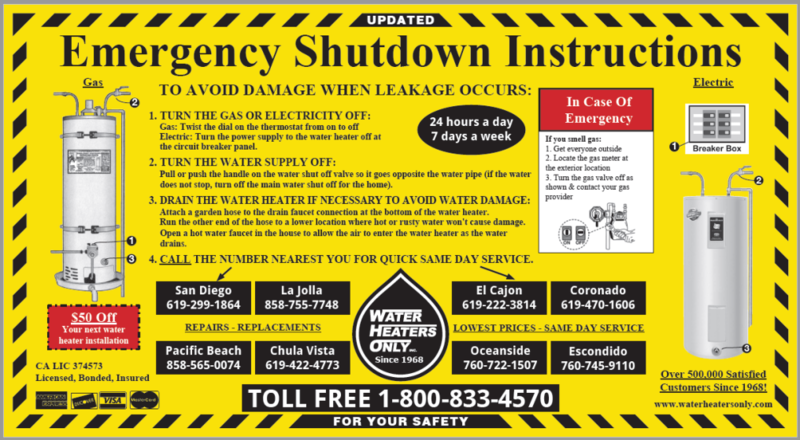 You can also call (619) 222-3814 and one of our water heater experts will walk you through turning off your water heater. 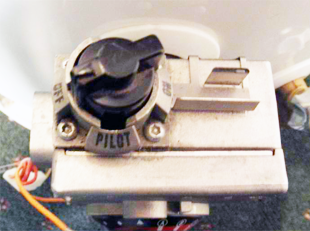 Electric: Find your breaker box and flip the breaker for your water heater or if your water heater has a disconnect switch close to the water heater, simply turn off the switch to turn off power to the water heater. Call Water Heaters Only, Inc 24/7/365 for assistance or to talk with an expert about the problem with your water heater. Need water heater repair or water heater replacement service? We offer quick friendly service at very competitive prices.